You’re familiar with the Campaign A-list. Well, this year we introduce the Campaign M-List. It’s a list of industry taches, grown specifically for Movember… we want you to be on it. 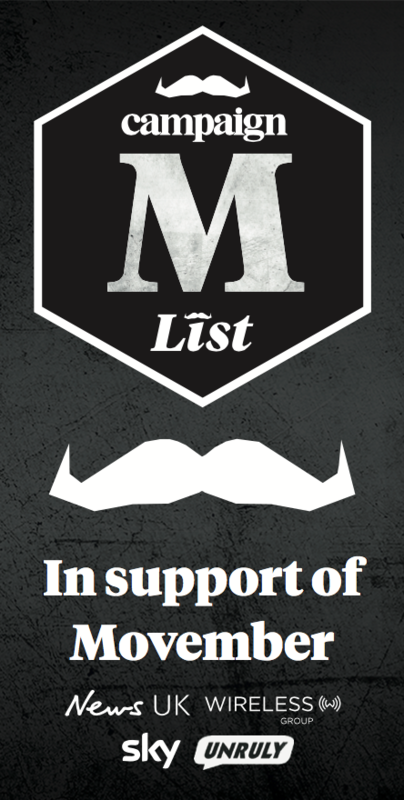 The inaugural M-list is published throughout November to raise awareness and donations for The Movember Foundation. Campaign, in partnership with NewsUK and Sky Media, calls on the media, marketing and creative industries to grow the biggest and best moustaches this Movember. It's a simple way to get you and your mo in lights while raising cash for a vital cause. Movember tackles the biggest health issues facing men – prostate cancer, testicular cancer, mental health and suicide. By 2030, it aims to reduce the number of men dying prematurely by 25%. It needs your help. "Movember is important and fun, just like the Campaign A-List. 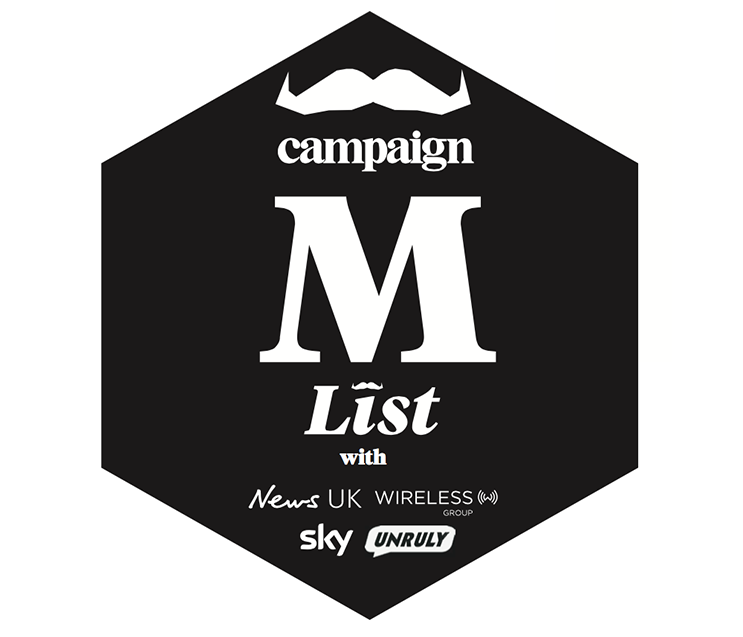 So the creation of the M-List is a brilliant way to celebrate the movers and shakers in UK advertising and media who are letting their facial hair down in aid of a serious cause" says Campaign's head of media Gideon Spanier. If you're in the industry and are taking part in Movember, let Campaign know, send us your donation page, and photo, and we'll get you on the M-List.